I’d love to step into the world of Vincent Mathy’s illustrations. 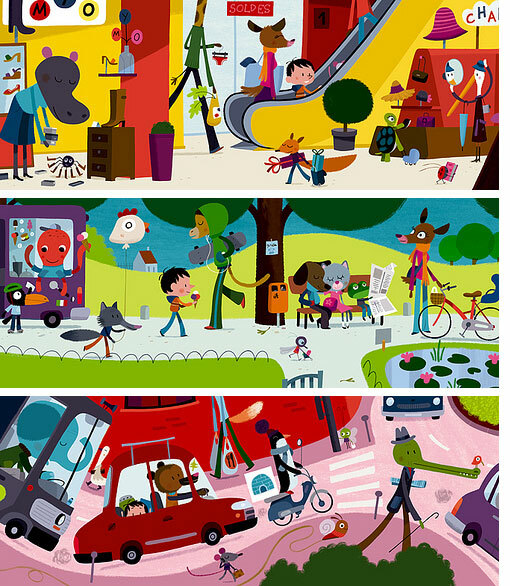 Whimsical, colorful and retro-inspired; the images are slightly reminiscent of the late great Richard Scarry. you're so right with the richard scarry comparison.... i'd love some vincent mathy illustrated children's books! Wow! So many colours, I love it. I've posted this on my blog, and bought the book online!